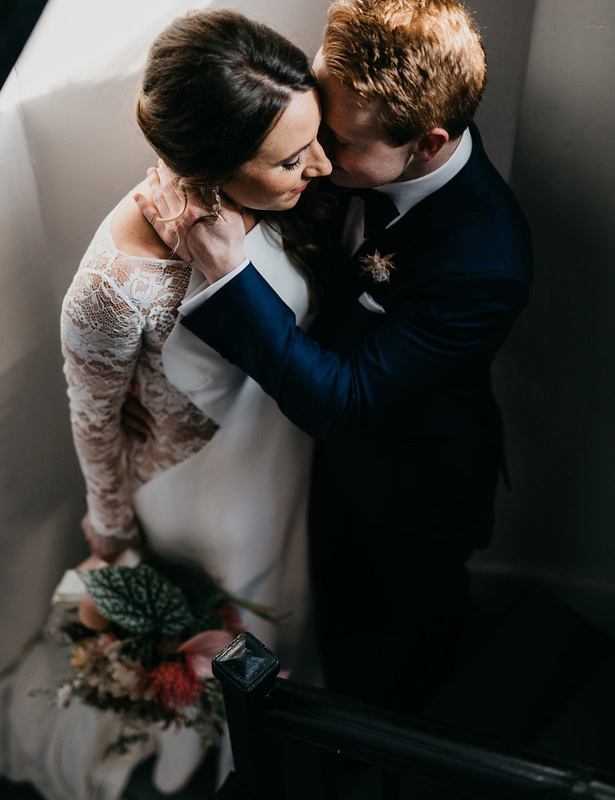 "Lyndsi and Geoff’s pictures on Instagram are what initially caught our interest. We loved their organic style of capturing natural light and how at ease the couples looked in all their photos! After our initial Skype conversation and them agreeing to fly out to New Jersey in the dead of winter, we were all in. To say that Geoff and Lyndsi are dedicated to their clients is an understatement. For example, there was a massive snowstorm forecasted for the day they were supposed to fly into New Jersy, which was three days before the wedding. Therefore, they caught a red-eye the night before the snow storm so that they could arrive with plenty of time to scope out the grounds a couple of days before our wedding and to keep us at ease! On the day of the wedding, this power couple made us feel so comfortable during our pre-wedding shots as well as our romantic shots after our ceremony. 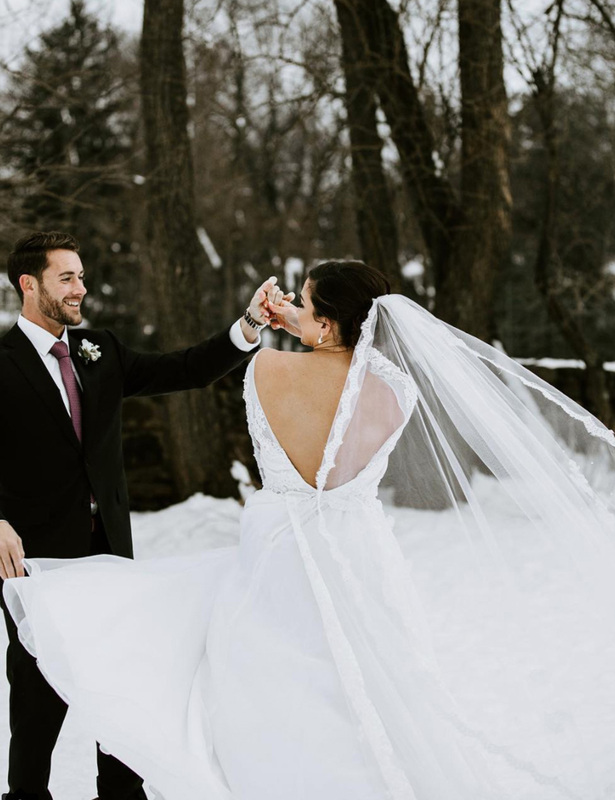 Never shooting a wedding in snow before, Lyndsi and Geoff did an incredible job at capturing the light, the snow and suggesting a few unique ideas that came out breathtaking – who doesn’t want to twirl in the snow?! 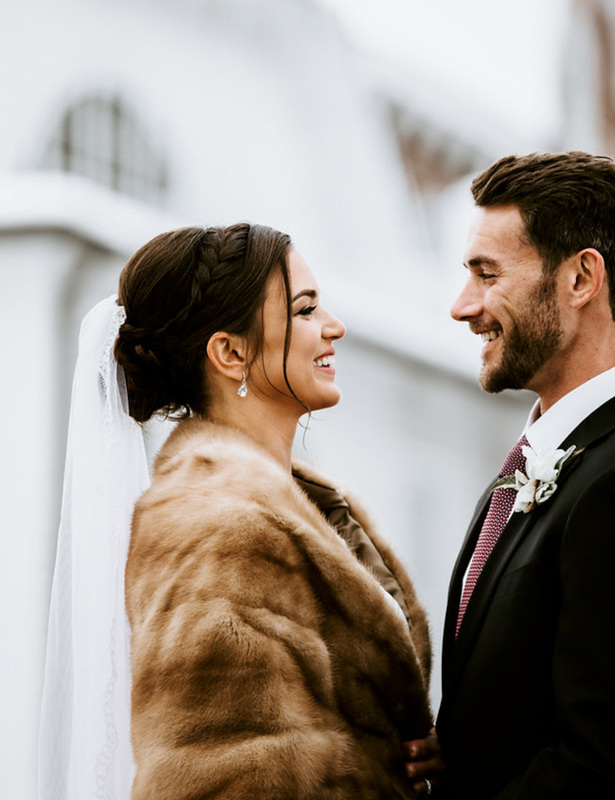 The vibe that Lyndsi and Geoff radiate is professional, creative and their chemistry together as a couple is infectious, fostering what the feeling should be at a wedding, fun and loving. The icing on the cake was receiving a handful of beautifully edited ‘sneak peaks’ of our big day in less than a week!" "Lyndsi and Geoff were the best wedding photographers to work with. They both are so professional, punctual, amazingly talented at their work and down to earth!! Aside from the quality of their photography, the cost for their services was extremely reasonable and they were truly professional from start to finish. They make you feel comfortable and really go above and beyond to get the perfect shot. Honestly their photos speak for themselves. We met with them before the wedding and really got to know them and they got to know us and what we were looking for out of our wedding photos. 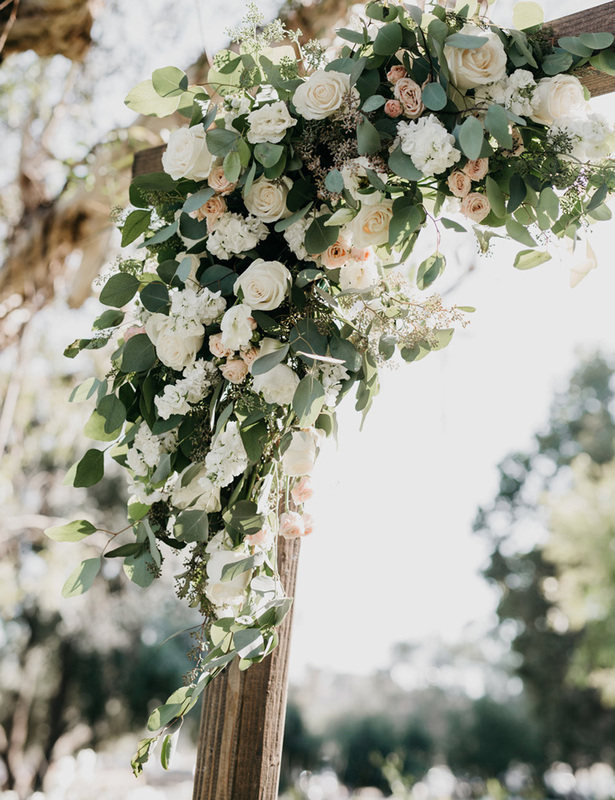 They stayed the weekend at our location down in San Juan Capistrano and scoped out all the locations to find the best spots for our wedding photos. This shows how dedicated they are about their work. 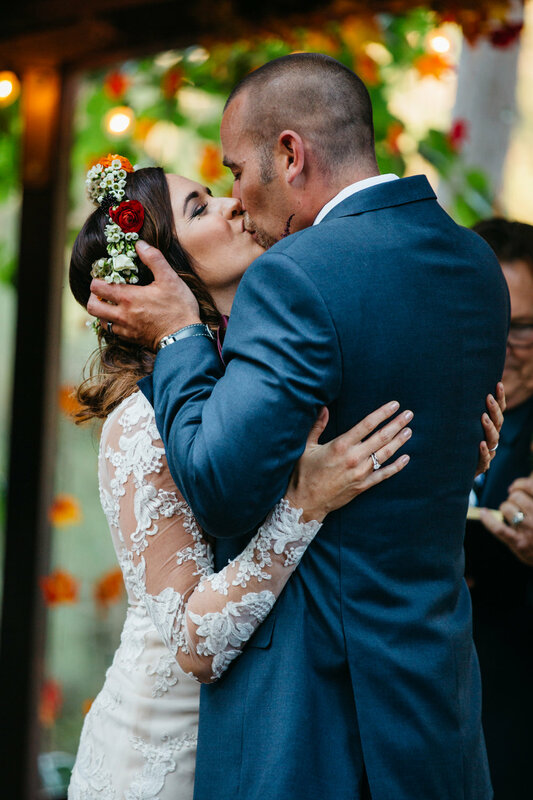 We took our first-look photos at the Mission in San Juan Capistrano and Lyndsi and Geoff captured our love for each other, all of our best angles, and made us look stunning. During the wedding day it can get very stressful but they made the entire experience so much fun and were amazing at keeping up with the timeline for the photos. All of our friends and family were so impressed by the sneak preview we got a couple days later. They took so many amazing photos it is hard for me to even pick my favorites but this just shows how incredibly talented this dynamic couple is. The photos of our wedding were breathtaking and simply captured our wedding perfectly! 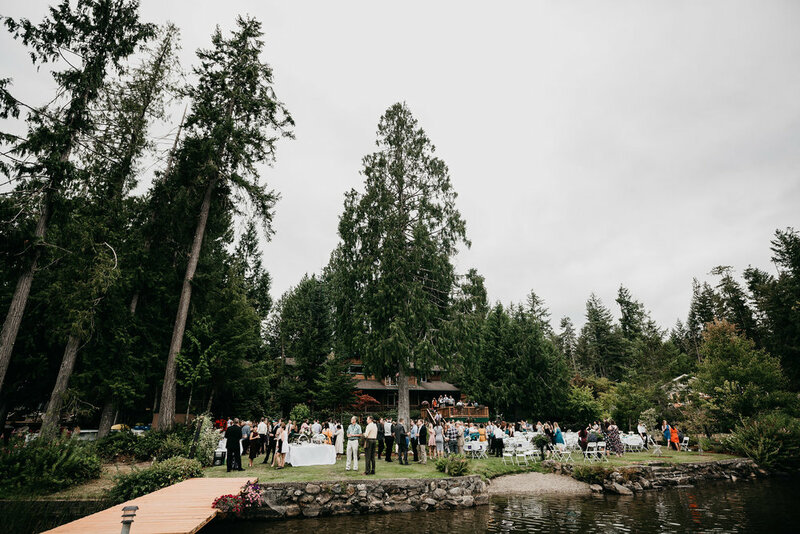 Thank you Lyndsi and Geoff for helping capture the biggest day of our lives in pictures!" "Lyndsi and Geoff are exceptionally talented! They literally are a dream team. We had Lyndsi and Geoff take photos of our little family when our baby girl was 3 months old. Lyndsi and Geoff took the time to really understand the style we were going for and captured it perfectly. Beside the fact that they are some of the coolest people we’ve met they were professional, extremely patient, and flexible which is obviously necessary for a newborn shoot. Lyndsi and Geoff made us feel so comfortable that the hour that passed is actually one of my favorite experiences with our baby. My husband and I really had the chance to soak in the moment of being a new parents and savor our little one together. When the pictures arrived we were blown away. Each picture captured special details and tender moments that we will forever cherish. We can’t wait to work with them again in the future!" "Lyndsi and Geoff are TOP SHELF in every aspect. We wanted a photojournalistic style and stressed how candid we wanted everything to be. They nailed it. We live in New York City, and they came across the country for our wedding. They have an eye for the perfect shot in basically any setting. We felt so comfortable with them even though we are not big on being in front of the camera. They are so responsive to calls and emails - even with a coast to coast time difference. They work perfectly together and go above and beyond for the creative, best shots. We admire their teamwork, and the rhythm they have together is unmatchable. We could tell that they genuinely cared about us, our family, friends, and the day itself. Could not imagine anyone else being with us the entire day/night of our wedding to capture the moments that are now our memories." "Geoff and Lyndsi were a true dream to work with for our wedding! From our very first conversation with them during the planning phase, we knew we were in exceptional hands. Geoff and Lyndsi are extremely professional and talented, and also extremely personable, positive, kind-hearted, and truly fun to work with. They made us feel so comfortable on our wedding day, and were key to the day going so smoothly!" 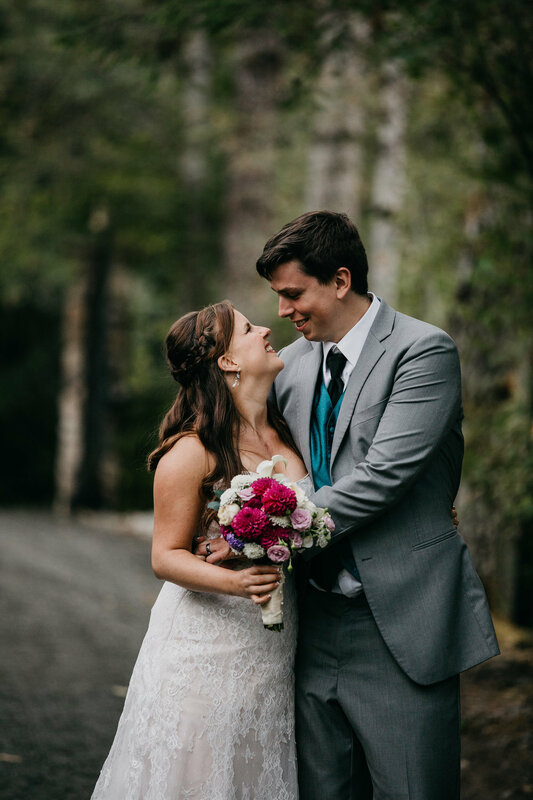 "We are so incredibly glad we utilized Geoff and Lyndsi for our big day! Not only were our photos absolutely gorgeous, but they made us completely comfortable and relaxed through the process. We were all able to have a great time and from their skills came a beautiful end product that we will cherish forever. Big thank you to Geoff and Lyndsi for all they did! 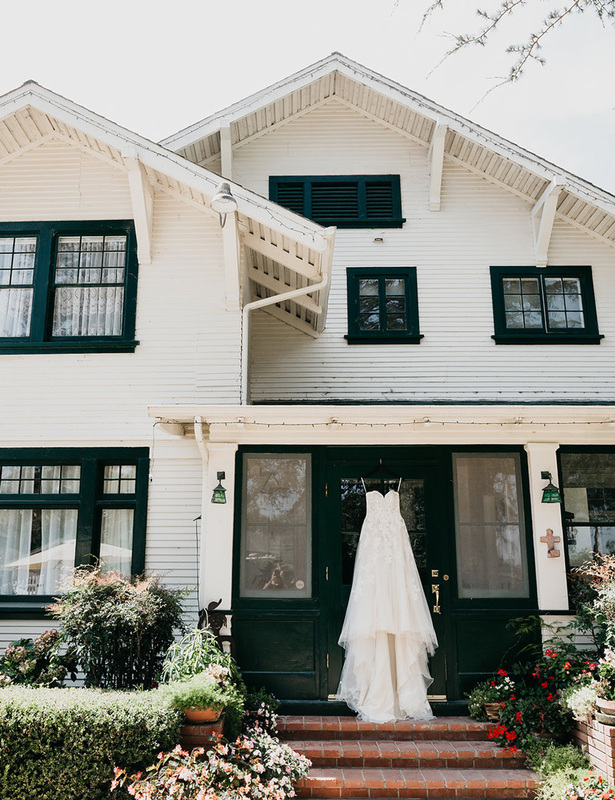 We would 100% recommend using Geoff & Lyndsi Photography for your wedding!" 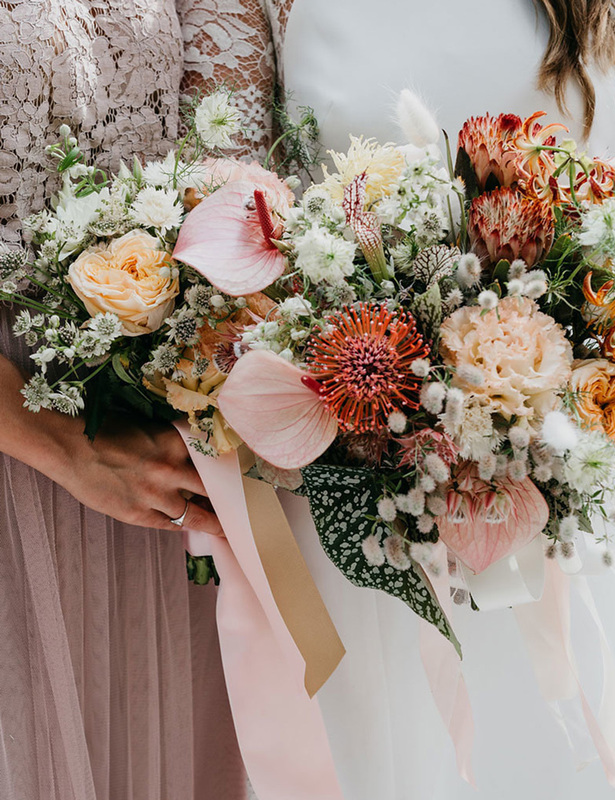 "Geoff and Lyndsi Photography were photographers I had been following on Instagram for about a year and always loved their beautiful romantic shots and scenic pics. I knew that when I got engaged they were my dream photographers and it was hard to think of hiring anyone else. I live in Washington a few states away from them so I thought it may be a long shot of them agreeing to travel up for our big day. I was so thrilled when they said they'd love to shoot our wedding. Geoff and Lyndsi 's excitement was courageous during a slightly stressful time of planning a wedding. It felt so good having full confidence that they were going to capture everything we wanted on the big day. They even came out to my venue 2 days before to check it out to ensure that things would go smoothly. Geoff instantly hit it off with my husband and his friends to make them feel comfortable getting their picture taken and Lyndsi was comforting, enthusiastic and reassuring...all the things I needed that day. Our pictures turned out so beautifully I wouldn't habe wanted them any other way! I highly recommend Geoff and Lyndsi Photography. You won't regret it and will be as happy as we are with our photos and experience." "Well, where do I begin with these two. 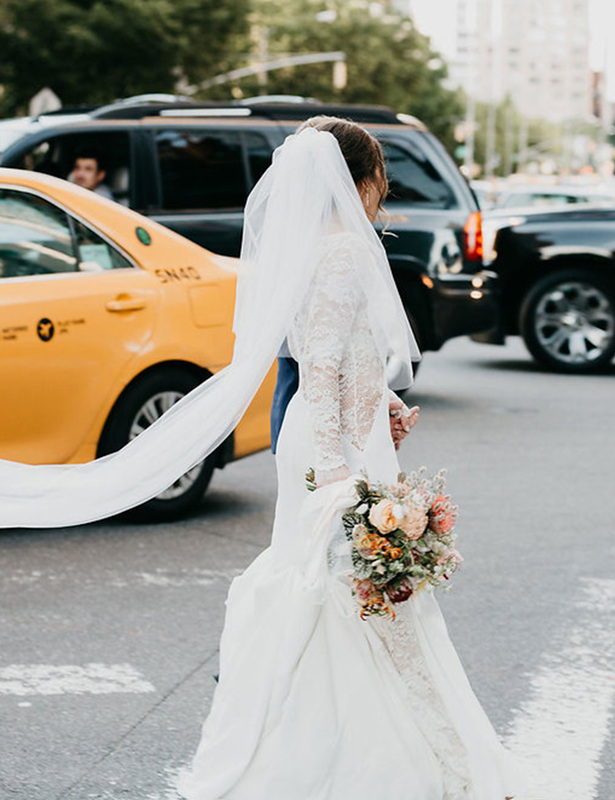 As any bride knows there is so much planning and decision making that goes into all the important details of your big day, photos being a big one. You don’t want to stress or second guess your vendors because you’re relying on them to do their part to the best of their ability. So, with some mild trepidation, I agreed to having Geoff & Lyndsi, who I had never met, be our photographers for our big day. After a couple emails and a signing of a contract we finally made a point to meet up in person. A few fish tacos and a cold beer or two later, I came to find that this was one of the loveliest husband and wife teams I’ve met. My husband and I were fortunate enough to have Geoff and Lyndsi also do some engagement photos for us. I knew after that experience that we were in the best of hands. They know some of the best places around to take incredible photos in the most amazing light. It looked like we traveled hours out of state to a location that was definitely not in Southern California but that couldn’t be more wrong. Well, it was remote, but it was a gem of a place that we never knew existed. The nature seekers that Geoff and Lyndsi are, gives them a unique edge that I appreciate and their talents come through in each of their photos with all their unique couples. Fast forward to our wedding day. Now, not to brag, but I’ve never gotten so many compliments alone on how beautiful our photos were. I couldn’t be more happy and in awe with how they came out. Geoff went off with the guys and I had Lyndsi with myself and my bridesmaids while we got ready. It enabled both my husband and me to witness how our day unfolded before we came together for our first look. And that first look!!! Oi vey!!! I mean the photo’s speaks for themselves. 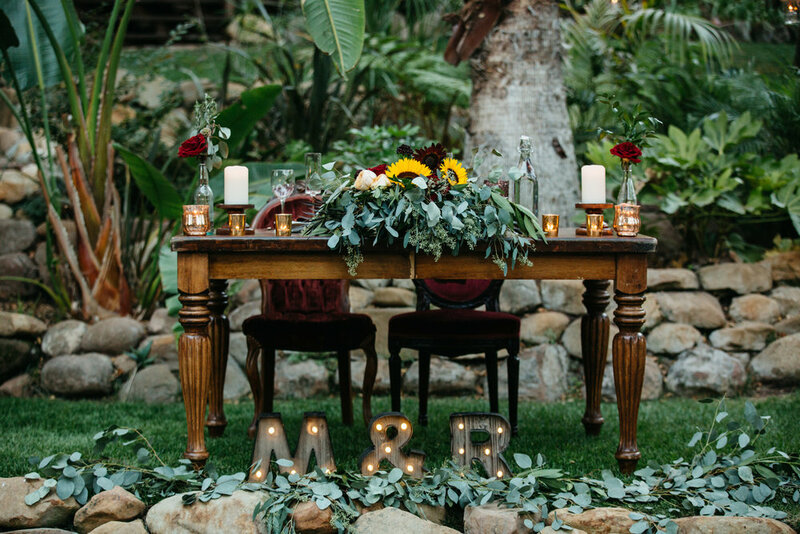 All the details that were captured along with the table settings and flower arrangements are forever encapsulated in the beautiful photos that they took. Geoff and Lyndsi have an amazing spirit as a husband and wife team and the friendliest demeanor you will ever meet. Their professionalism and incredible talent for photography is unsurpassed. 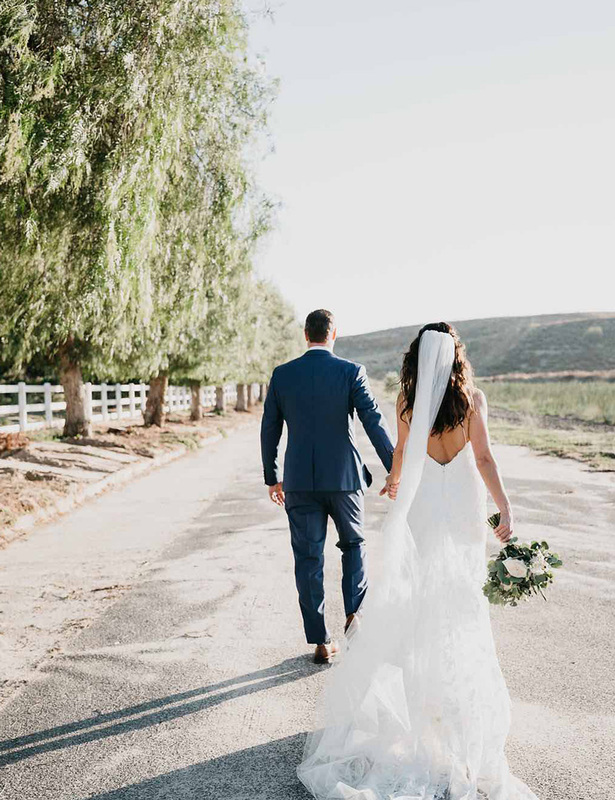 It doesn’t matter if you’re getting married in the greater Southern California area — these two will take any opportunity to go to an amazing location. Your journey is their journey and you won’t regret having them come along for the ride. We have found amazing friendship with them as well and look forward to using their talents in the future for the amazing events that life brings us."